Products served throughout Adams, Grant, Douglas, Okanogan, Ferry and Chelan Counties. Weinstein Beverage Company and Eastern Cascade Distributing serve retail and wholesale businesses, convenience stores, grocery stores, schools, hospitals, restaurants, coffee shops, industrial companies, and fruit companies. 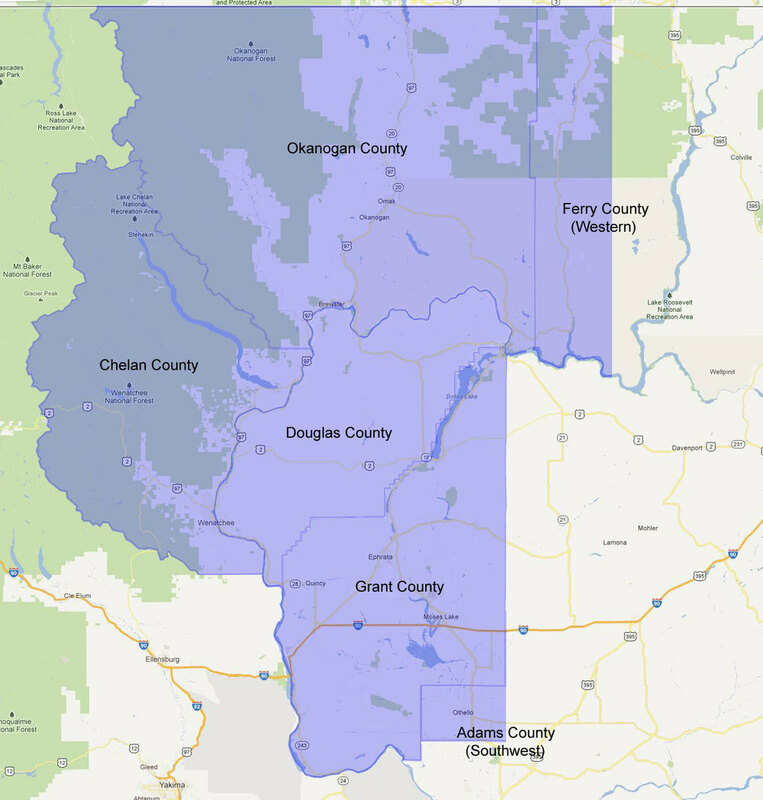 You’ll find us any place throughout North Central Washington where beverages are consumed or sold. Check out the map below for more detailed view of our coverage area.